Established in 2002, VaultLogix is a Danvers, MA based hybrid cloud backup services provider with a client list of “nearly 10,000 businesses from around the world” and “has over $12 million in annual recurring revenue, with EBITDA at approximately $4.5 Million”. We reached out to the CEO of VaultLogix Tim Hannibal to give us more insight into this acquisition and perhaps give us some information what the vision of the new company will be. According to Hannibal, “the acquisition is a perfect match. Firstly, InterCloud is a large public global single-source provider of value-added services for both corporate enterprises and service providers. This comes with security and reassurance that the customers will enjoy uninterrupted and improved services, allowing VaultLogix to integrate new solutions, updates, and products”. Secondly, “InterCloud a multitude services provider, which offers cloud and managed services, professional consulting services and voice, data and optical solutions, and many more. This allows VaultLogix to innovate and grow exponentially. For instance, VaultLogix had four data centres in the United States and Canada before the acquisition; and InterCloud had four data centres in similar locations before this acquisition”. Hannibal points out that “now the combined eight data centres will give us huge advantages over the competition”. There will not be any change in headcount at the company and Hannibal will remain with the new company. This is especially a good news, as in most cases, headcount is affected after acquisitions. So, what is possible in this marriage? BackupReview.info hopes that this acquisition will have a positive impact on both VaultLogix and InterCloud and strengthens their respective positions within the cloud-based services market. 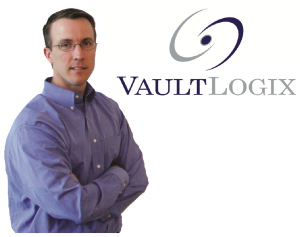 We congratulate everyone at VaultLogix for their successful exit.